From Contrarian Outlook: Members of my CEF Insider service often tell me they’d love to know a lot more about the people at the helm of closed-end funds–the good, the bad and the ugly. It makes sense: after all, when you buy a CEF, these folks play a huge role in whether you notch a big gain (and income stream) or, well, not so much. As one of the few analysts who focuses solely on CEFs–especially smaller CEFs–I’ve had several conversations with managers at CEF companies from across the market. A common theme? They’re all frustrated that the average investor doesn’t know the many benefits CEFs deliver. First, we need to talk about these funds’ discounts to their “true” value, which I’ve told you about before. You may already know that a CEF is effectively “closed” from issuing new shares to new investors, which limits the supply of shares and stops management from diluting your stake. This has another great benefit: discounts! 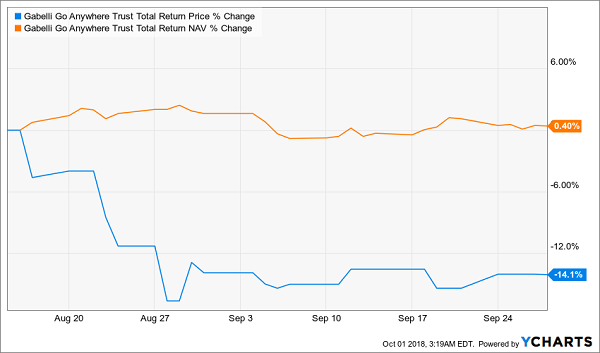 Because of that limited number of shares, if the CEF’s portfolio (or “net asset value”) grows more than the market price, the fund will suddenly be priced at a discount to its NAV. And these markdowns can be huge. The reason for the selloff? Nothing more than market inefficiency. Big investors won’t bother with such a tiny fund, and small investors mostly don’t know it exists. A measly 600 shares have traded per day, on average, in the last month! Obviously, this matters because if you buy a CEF at a huge discount and wait for it to go to a premium, you can reap massive gains. But there’s a second reason why this matters a lot–and it’s why a lot of fund managers wish CEFs were more popular. It comes back to the “free” management fees I mentioned earlier. Let me explain it like this: imagine a fund has a 1% management fee and $100 in NAV. 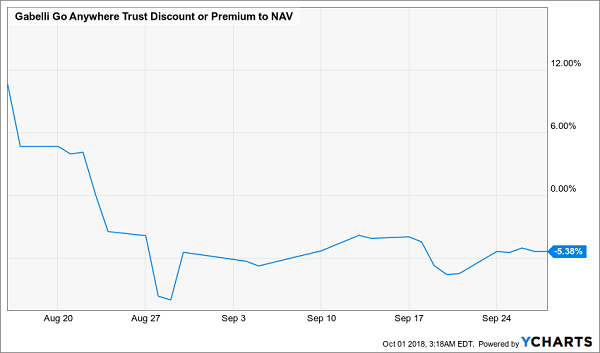 If you get the fund at a 10% discount to NAV, you’re paying $90 for that $100 in NAV. Keeping in mind that we’re paying a $1 management fee for the privilege of getting that $100 in NAV for just $90, we’re essentially paying a dollar to get a $10 discount. That already sounds like a good deal, but the real magic happens when the fund’s NAV goes up. If it rises 10% and pulls the market price up the same amount, that’s a $10 increase–but since we paid $90, this $10 gain translates into an 11.1% profit on our invested capital. That 1.1% extra return on our original investment equals 99 cents–or about the same as the fund’s fees! In other words, by buying a CEF at a discount (if the discount is big enough proportional to the fund’s fees), we’re essentially sidestepping the fees–they’re cleared when the fund swings to trade at its net asset value or at a premium to its NAV. And this is why fund managers love CEFs: these funds give them a chance to charge fees the market ultimately pays for. It’s also why individual investors should love CEFs: they can take advantage of this to essentially get smart, active fund management for free. So who runs the most CEFs in 2018? 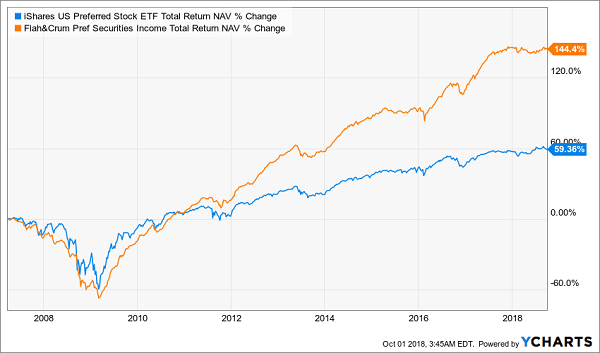 While a lot of fund managers have told me they prefer CEFs for the reasons I outline above, the massive popularity of ETFs has forced many of these pros to focus on ETFs instead. For that reason, many of the biggest fund managers are also well-known for their ETFs: BlackRock, Invesco and Credit Suisse are all CEF issuers, and some of these companies have pushed for more CEF investment in recent years, even as market forces have caused them to ramp up ETF issuances, as well. This shows you just how concentrated the CEF space is: of the 487 CEFs currently tracked by CEF Insider, these 10 issuers alone account for 56.7%! 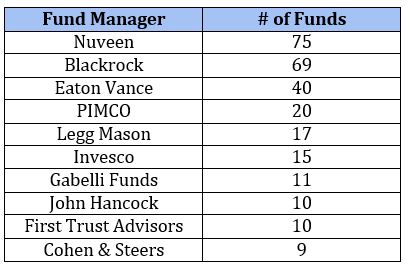 A lot of readers have asked me if it’s best to go with bigger fund managers, like BlackRock, whose $6.3 trillion in AUM has made it a larger economic force than many countries. Although Flaherty & Crumrine’s total AUM is small and FFC has just $849.2 million in AUM (versus PFF’s $16.4 billion), it has crushed the index. Why? Because Flaherty & Crumrine focuses all of its time and energy in the preferred-stock market, so it knows this area better than anyone else–its outperformance proves it. It isn’t alone. Several CEF managers stay small and nimble, but because they’re experts, they crush the market as a whole and are able to do that for years. 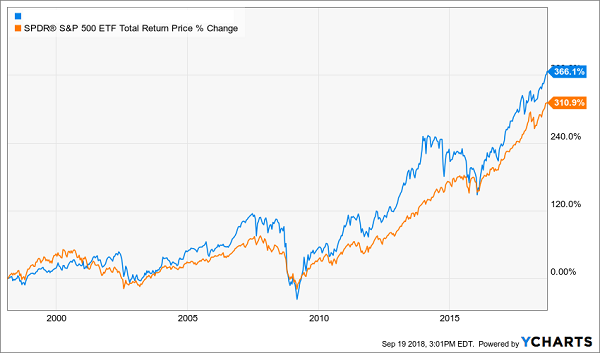 Yet investors often ignore these funds, instead being lured by the low fees and massive marketing dollars thrown at “dumb” index funds–and leaving a lot of gains (and income) on the table. 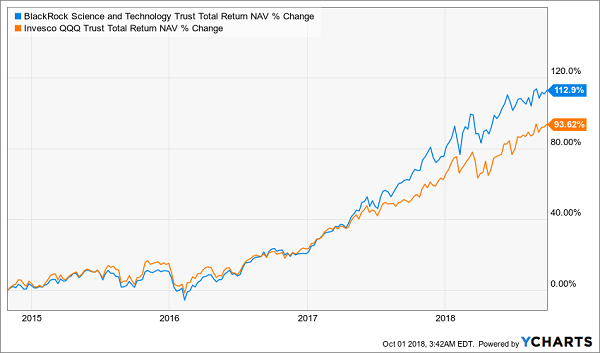 As I just showed you, the big players’ obsession with ETFs over CEFs does a huge disservice to investors, because it distracts them from retirement game-changers like the other fund I want to tell you about now. 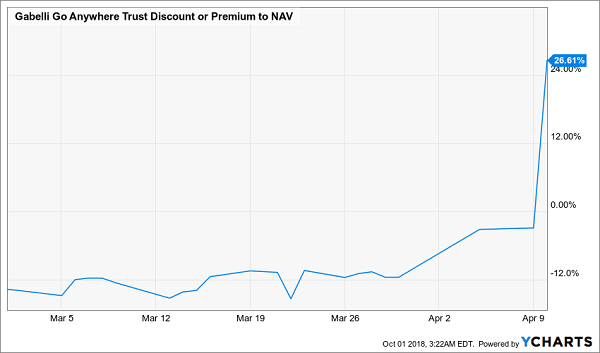 It trades at a truly bizarre discount to NAV that just can’t last (in fact, it’s already swinging back toward its usual premium, so you’ll need to act now). The upshot? This ridiculous markdown exists even though this fund is run by a Warren Buffett disciple with a 30-year track record of handing his lucky shareholders massive returns! And here’s something else you should know: this incredible fund has crushed the S&P 500 over the long term–and thanks to that huge 9.1% dividend, most of that gain was in CASH! Even if a recession hits tomorrow, this fund’s 9.1% dividend is SAFE. You can simply keep collecting this rich payout while you sit back and let the battle-tested pro at the top stickhandle his way through. Best of all, when this CEF’s rare discount swings to a big premium (a take-it-to-the-bank certainty, in my view), we’ll be locked in for fast 20%+ upside from here, on top of that massive dividend! This hidden gem is just one of 5 CEFs I’ve uncovered with SAFE dividends up to 10%, plus 20%+ price gains ahead in the next 12 months. Full details on each of these 5 high-yield funds are just a click away. Just go right here and I’ll give you everything you need to know about these 5 income (and growth) plays: names, ticker symbols, buy-under prices and more. The iShares S&P US Pref Stock Idx Fnd ETF (PFF) was unchanged in premarket trading Friday. Year-to-date, PFF has declined -3.50%, versus a 8.90% rise in the benchmark S&P 500 index during the same period. PFF currently has an ETF Daily News SMART Grade of A (Strong Buy), and is ranked #1 of 19 ETFs in the Convertible Bond/Preferred Stock ETFs category.